Autumn is upon us, bringing shorter days, cooler nights—and endless ads for jackets, sweaters, boots and other pricey winter gear. If you too have what we call a “mom mailbox” overflowing with fashion catalogs, as well as big and little family members who want and need new clothes to last until spring, you’re probably feeling overwhelmed by the amount of money you expect to shell out to pay for it all. So how are you going to save money this winter? We are here to help. 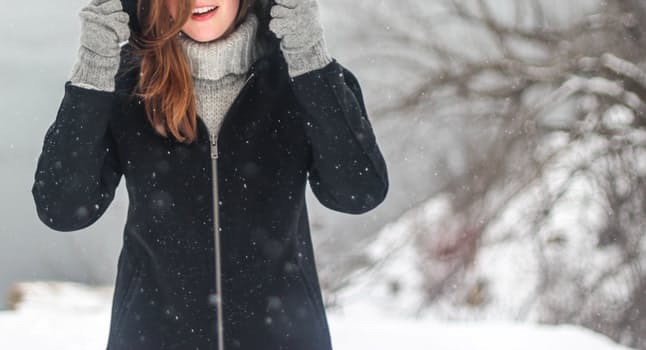 We thought we would put together a ‘how to’ shop for winter clothing without blowing the budget. Our mantra? Put needs before wants, and never pay full retail. Whether you’re buying in a store or on your laptop from your couch, deals abound. Allow us to share our top 5 strategies for scoring bargains so your family stays stylish, comfy and warm this season. If your kids are a little into hide-and-seek, they have stashed most things into drawers and shoved into corners all sorts of clothing items that have plenty of use left in them. Assess what you have and size up what can be salvaged or handed down to a younger sibling. Then write out a list of what everyone in the family actually needs. Shopping without a list is the fastest route to buyer’s remorse. While you’re browsing, sign up for store newsletters, so you’ll be in on special offers and make sure you maximize your savings options and stay within your budget. When you’re considering a purchase online or in a store, find out how much the item is selling for at other retailers. This comparison shopping can save you major moola by directing you to the cheapest option. Some stores will allow you to do a price match – so try find out which stores can help you. Certain garments go on sale at different times throughout the year, so if you can hold out, you’ll stretch your money a little further by striking at the right time. Last year’s boots will be on the sales rack before winter starts. If the weather in your area allows, try to buy new coats before spring hits, when outerwear prices are slashed. Should your kids push back (“Mooooom, I neeeeed it!”), tell them they’ll be happier if they wait to see what’s trendy before they impulsively buy something they’ll wear once before stashing in the back of the closet forever. So make sure you start saving for your little ones as well. It’s worth checking out consignment stores and outlets for all kinds of clothes at drastically reduced prices. Coats, jackets and other outerwear can be costly, and buying almost-new saves big bucks. How are you saving money this winter?